The date for our first Day-Night Photo Shoot event in 2019 has now been set for Saturday March 9, 2019; but all of the places have now been allocated. We are now operating a reserve list and if anyone cancels we will offer the place to people in the order in which they registered their interest, if you would like to add your name to the reserve list please send us an email by opening this link Your name will also be added to the mailing list for future Day-Night Photo Shoot events. The event will formally commence after the museum closes to the public at 5pm; however anyone signing up for the event will be eligible to arrive at the museum from 1000 hours onwards on March 9th so that they can enjoy a whole day taking pictures around the museum site. 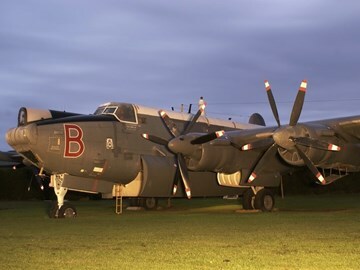 The event will feature themed ground equipment; uniformed personnel; and illuminated aircraft. Admission cost for Day-Night Photo Shoot event is £30 per person and places will be limited to 50 people (now sold out). Cheque payments are being accepted and card payments for places can be made by telephoning 01636 707170 (10.30am -15.30pm) weekdays and weekends, or by calling in at the museum in person.